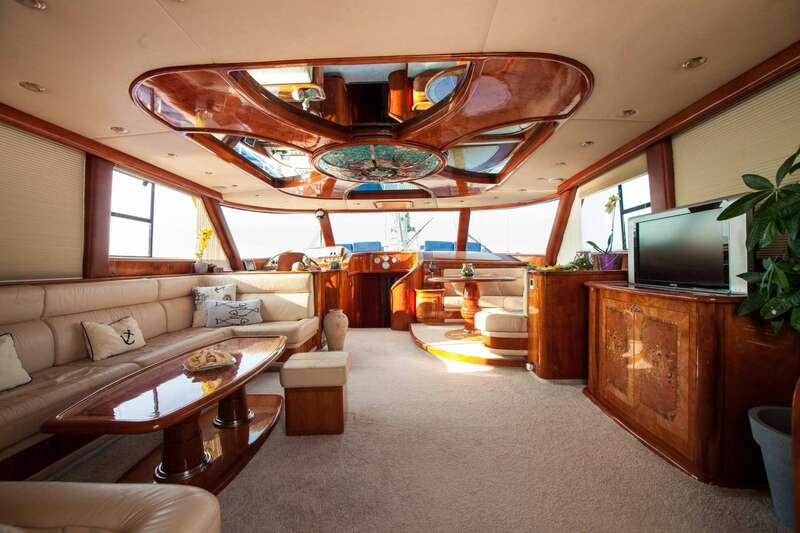 Gulet Lotus was built in 2006 by Huzur Yat - one of the finest Turkish shipyards when it comes to luxury yachts building. 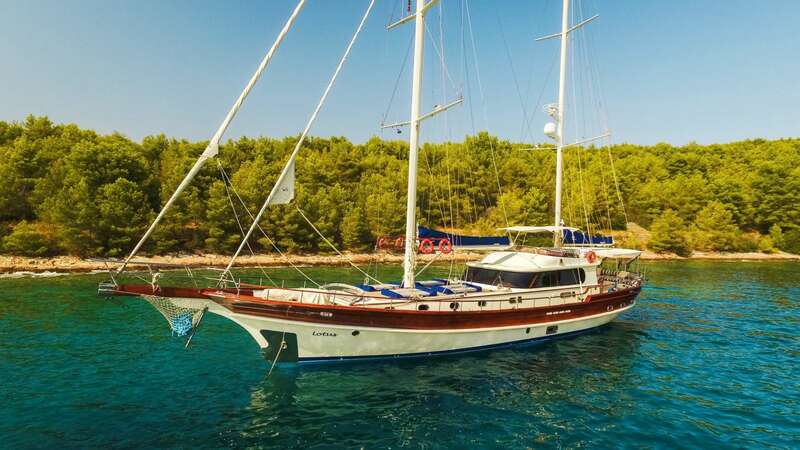 This boutique gulet was built for private owner, passionate wealthy sailor who decided to sell it in 2018, as he couldn’t find enough time in his busy schedule to enjoy on his beloved yacht. During 12 years of his ownership, the main engine of the yacht had less than 300 working hours. 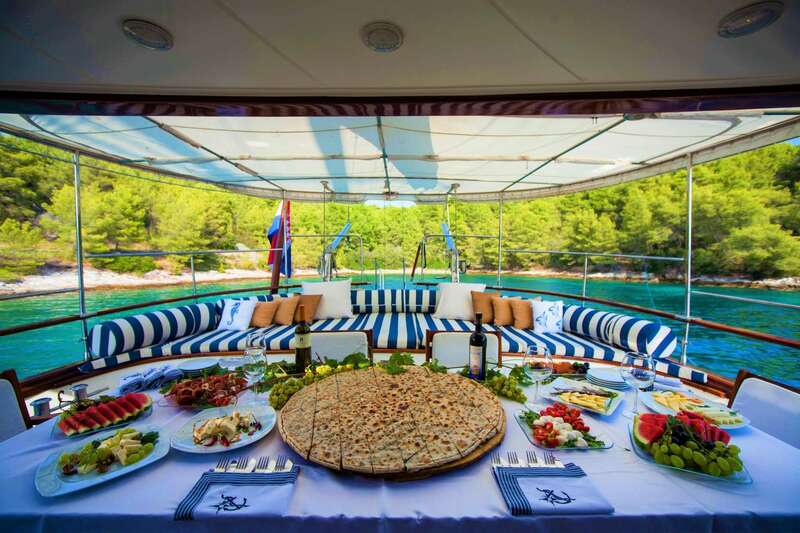 In August 2018, yacht was purchased by Croatian owner to be introduced as new entry to luxury yacht charter market in Croatia for the season 2019. 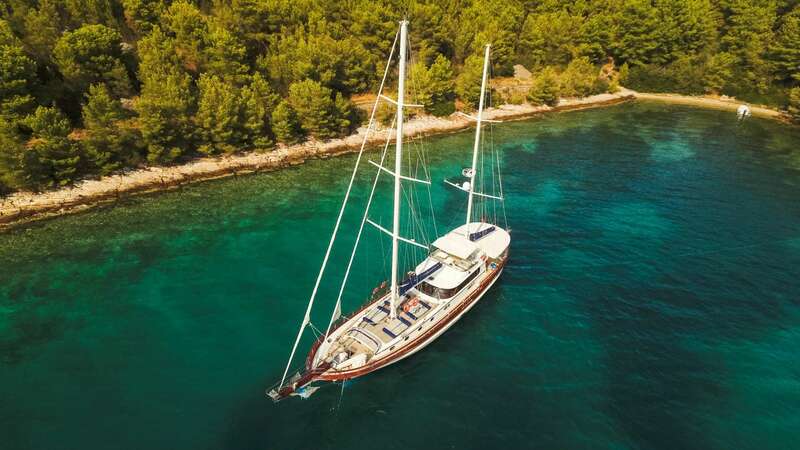 Gulet Lotus comprises stylish interior, two (out of total 4) impressive cabins, sleek exterior lines and serious sailing equipment which ensures proper sailing experience onboard. Let us walk you through the interior of the yacht first: entering from the aft you are stepping in the spacious salon, designed to be perfect relaxation zone – your living room at the sea. On your left is the lounge area with coffee table, opposite to it is TV; in front of the lounge area is inside steering place while in the right front corner is inside table. All fabrics are of high quality, interior wood is cherry and large panoramic windows around the salon are ensuring plenty of natural light and airy atmosphere. 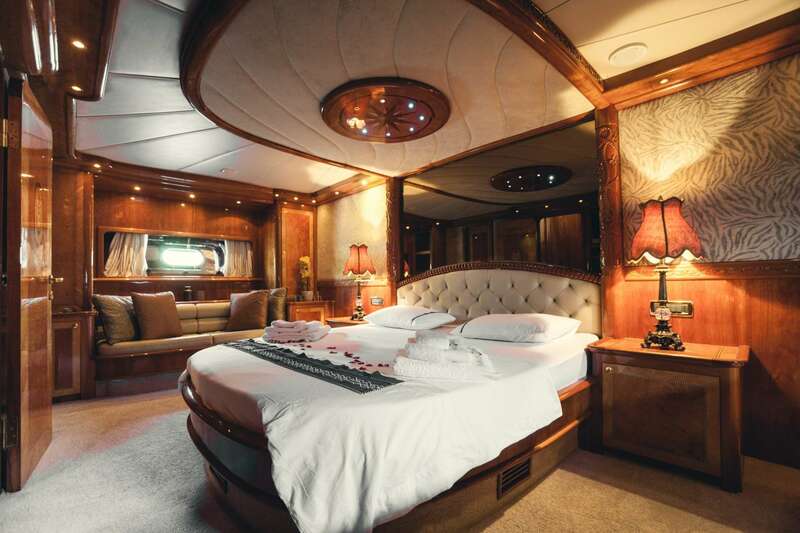 The moment you step on board this magnificent yacht, relaxation and chilling seem as inevitable, if not the only possible attitude to the world around you. 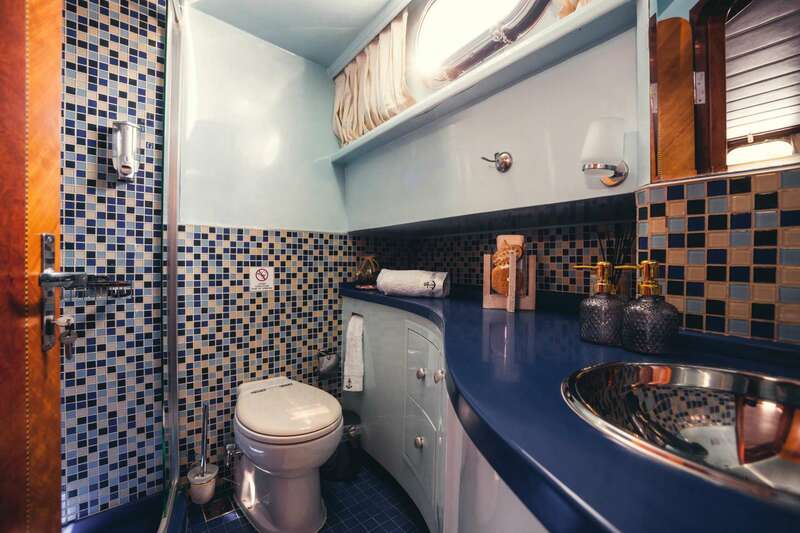 Down the stairs from the salon, to the aft – in its separate area Master cabin is placed. Island bed in the middle of the cabin which takes side-to-side width. Sofa on one side, working-or-vanity table on the other side, walk-in closet, TV and mini bar, all dressed in rich cherry wood clearly shows that the interior was inspired with the Ottoman style, providing that special sophisticated atmosphere that radiates with elegant serenity and take-your-time philosophy. 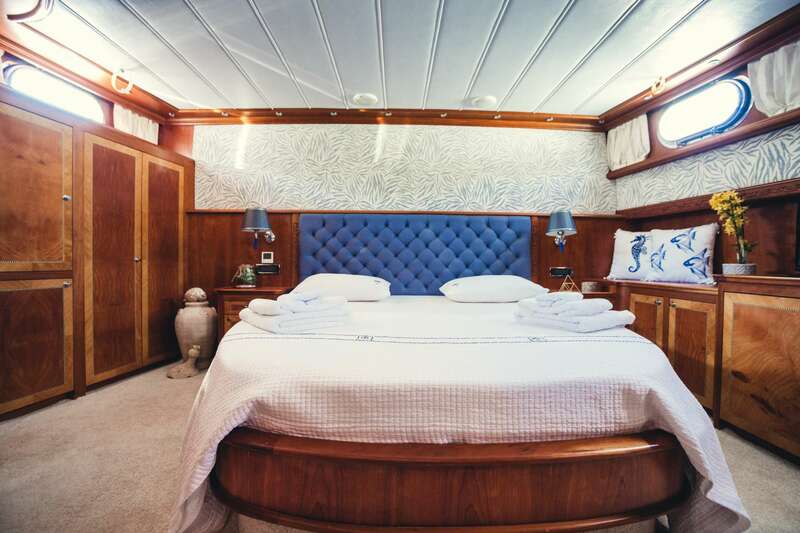 Stepping down the stairs from salon to the front area of the yacht you will visit 3 other cabins: one double bed, one twin bed – one opposite to another, and in the very front: a VIP cabin; also stretching from side to side, with plenty of wardrobe space, TV and minibar. Ok, so we’ve finished the interior walk, let’s go up to the deck and start the exterior tour from the aft: here Lotus offers area for relaxation and al-fresco dining; aft mattresses, spacious dining table with chairs around it, all covered (shaded) by tent construction. Front deck is definitely area for the sun lovers during the day - as we mentioned, Lotus will provide excellent sailing experience, therefore this area is not covered with tent or awning as sun protection. Still, at the sunset time this is probably the best area to spend this time of the day as Zen moments are assured to everyone comfortably lying on those mattresses. Upper deck or sun deck or fly bridge; you are invited to join the captain while he is steering from this position – there is a cocktail table and shaded lounge area for you. 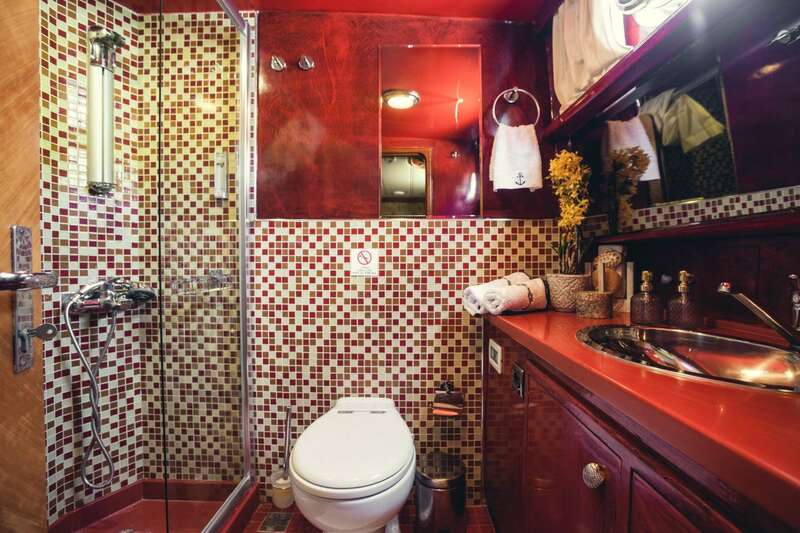 Or perhaps you want to enjoy it in privacy – so the captain will move to steering place in the salon. Luxury gulet Lotus offers to her guests a wide range of entertainment as she is well supplied with water sports equipment.